Head of the Reform and Reconstruction Alliance, Sayyid Ammar al-Hakim, in his office in Baghdad, received delegation of the South Korea, visiting Baghdad headed by Han Pyeong-mo and his accompanying delegation consisting of economic and medical personages, Monday 28/1/2019 His eminence indicated to South Korean delegation the importance of this visit timing for possible Iraqi economic agreements and partnerships with Seoul, and these agreements with Korea are unique for its distance from any political projects. His eminence praised the presence of South Korea in Iraq during the past period, despite the security issues, highlighted the nature of the changes in Iraq, the elimination of Daesh, departure of sectarianism and the transition from sectarian drived alliances to unbiased national alliances representing all components of Iraq, praised the humanitarian role of Korea and its support for Iraq in the fight against terrorism and security. 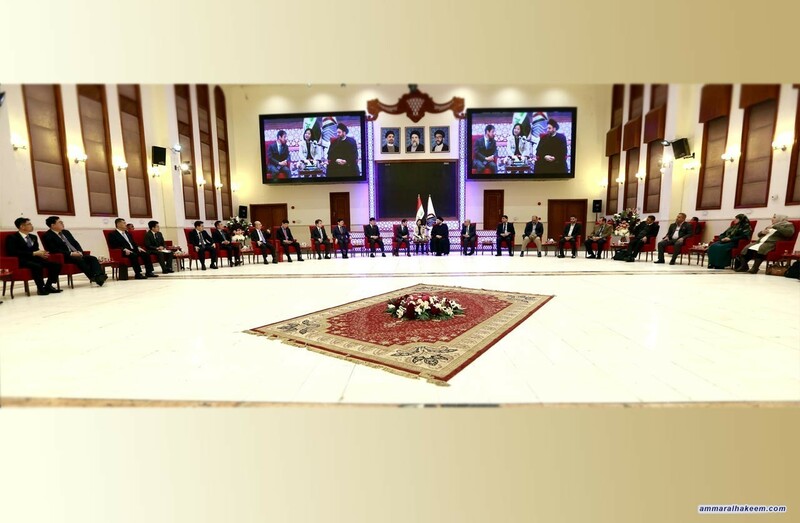 His eminence pointed to similarity of experiences between Iraq and Korea, in line with the challenges faced by both countries, with consideration to the different geographic aspects, that enabled Korea to progress and develop. His eminence pointed out that the Korean experience has long been admired and praised by the Iraqis, pointed that the Iraqi society is using the Korean products including electronic devices and vehicles. The Korean delegation praised the statements and clarifications presented by his eminence related to the changes in Iraq, and briefed his eminence about the results of visits and meetings with Iraqi officials, particularly the Prime Minister and His Excellency the President of the Republic.